Florida International Univerity’s Klinger sisters took a long road before finally becoming beach volleyball stars. Dorina and Ronja, Austrian natives, competed successfully in all kind of sports before finally settling in what would appear to be an uncommon choice for people stemming from a landlocked country. Dorina, the elder sister at 21-years-old, played indoor volleyball for four years, participated in track and field for three and alpine skiing for ten back in her home country. She also sporadically participated in tennis, swimming, and windsurfing competitions. Meanwhile, Ronja the younger sister at 18-years-old, participated in all of the previous activities as well, in addition to being a national pole vault champion a 2x Austrian volleyball league MVP (2017, 2018). Needless to say, the sisters have a lengthy sport resume. “We were both quite successful in skiing and were nominated in various junior National teams. Now we have been playing Beach Volleyball for two and a half years, but this is our first season together as a team. We like Beach Volleyball, because it is a great combination of an individual and team sport. In such a small team you still have to be a great fighter individually to be successful, you have to find solutions on your own as well. This is probably something we learnt from skiing. 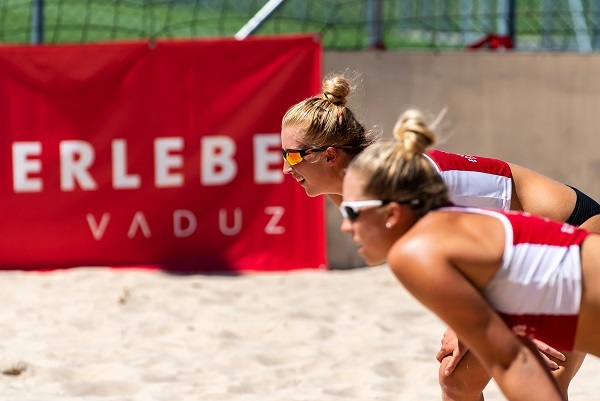 Although the Klinger sister have only been playing beach volleyball for about three years, they managed to secure the fifth place at the 2018 U22 Beach Volleyball European Championship in Jurmala two weeks ago and the 1-Star/Satellite Baden held earlier this year in their home country. At the 1-Star/Satellite Vaduz, the girls were among the four pool winners.